AWS Lambda Functions are easy to build and deploy. You only pay for resources used in the execution of your Lambda Function, not for servers to standby and be ready to execute your function. This should yield cost savings where you have highly variable load. Automatic scaling of the underlying compute resources falls out as part of the approach. In fact, it isn’t even really a question or consideration from a technical perspective. Integration with other AWS services is trivial as is exposing your function for direct invocation. TLDR: Bottomline is that Atlas will cost more than DynamoDB, but coz MongoDB is open source, you’ll not be locked into dynamoDO. 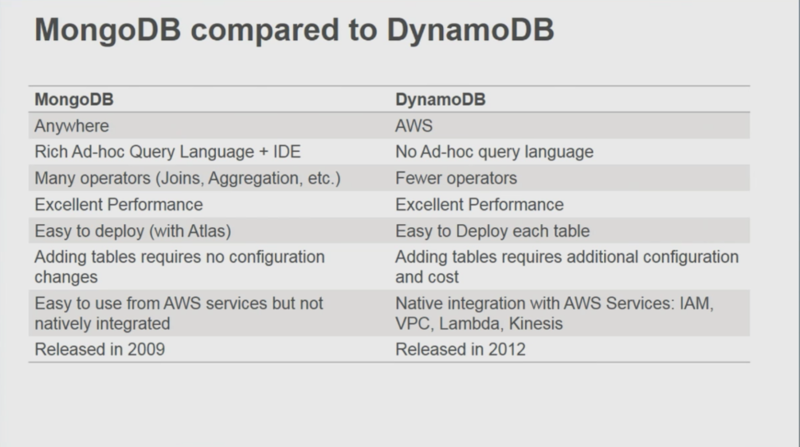 Joseph then compared MongoDB to DynamoDB, stating that while both databases are great and easy to deploy, MongoDB offers a more powerful query language for richer queries to be run and allows for much simpler schema evolution. He also reminded the audience that MongoDB can be run in any environment while DynamoDB can only be run on AWS. 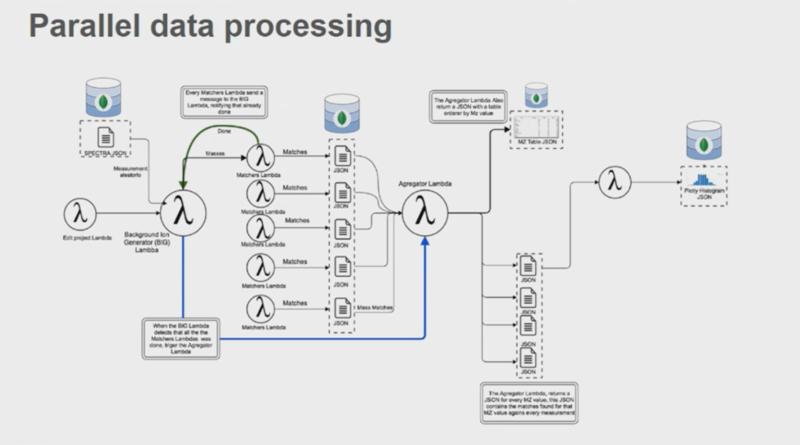 Finally, Joseph showed an architecture diagram showing how MongoDB is being used with several AWS technologies and services (including AWS Lambda, Docker, & Apache Spark) to parallelize algorithms and significantly reduce experiment processing times. Reducing experiment times from days to minutesHe concluded his presentation by explaining why Thermo Fisher is pushing applications to MongoDB Atlas, citing its ease of use, the seamless migration process, and how there has been no downtime, even when reconfiguring the cluster.